This entry was posted on Friday, September 14th, 2018 at 11:21 am	and tagged with acrylic-colored pencil, landscapes and posted in acrylic and colored pencil, landscapes, trees. You can follow any responses to this entry through the RSS 2.0 feed. 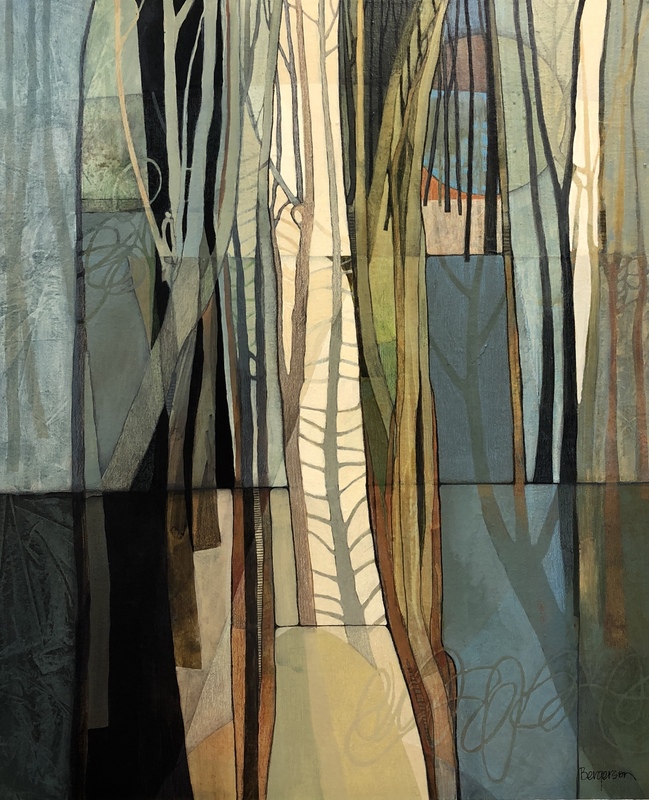 Judith Bergerson, i love this painting forest path, all the different colours and lines, beautiful, thanks for shearing.